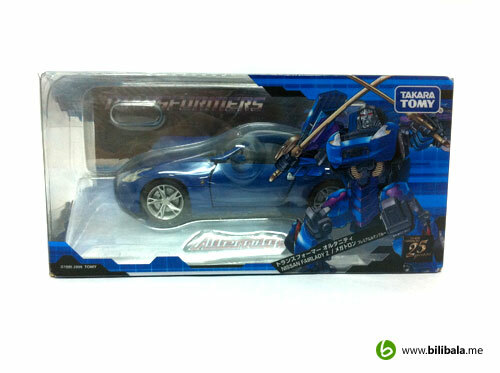 This is another interesting collection from the Transformers Alternity. 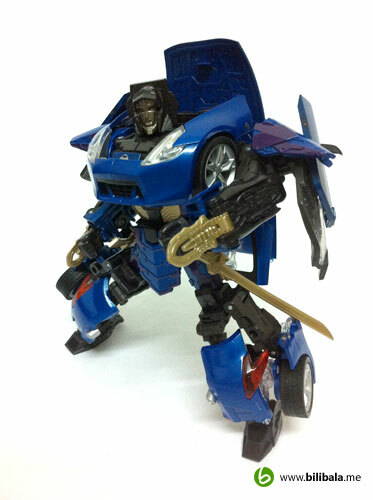 For those new comer, what is so special about this Transformers toyline is, it blends popular Japanese sport cars with Transformers characters, like the GTR Optimus Prime and the Orochi Starscream i have reviewed earlier. 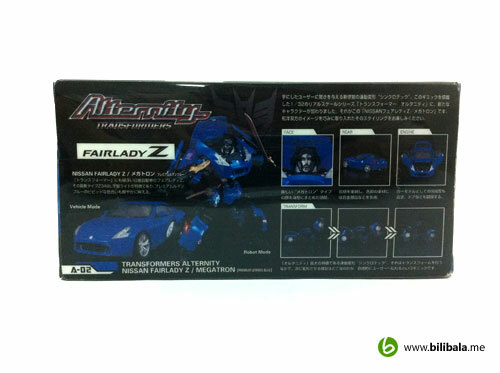 The toy comes in a nice and quite standard box for all Transformers Alternity line. I guess you all have seen the actual car on how it looks like before. 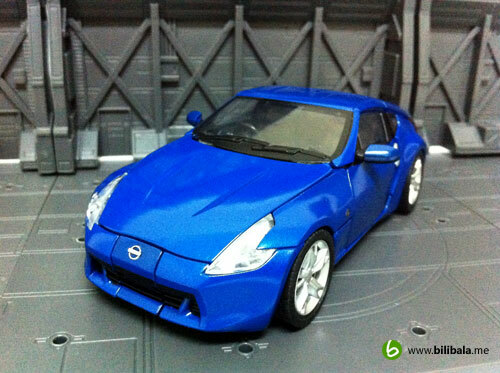 This smaller scale transformable Nissan Fairlady bears almost all the details the actual car has. 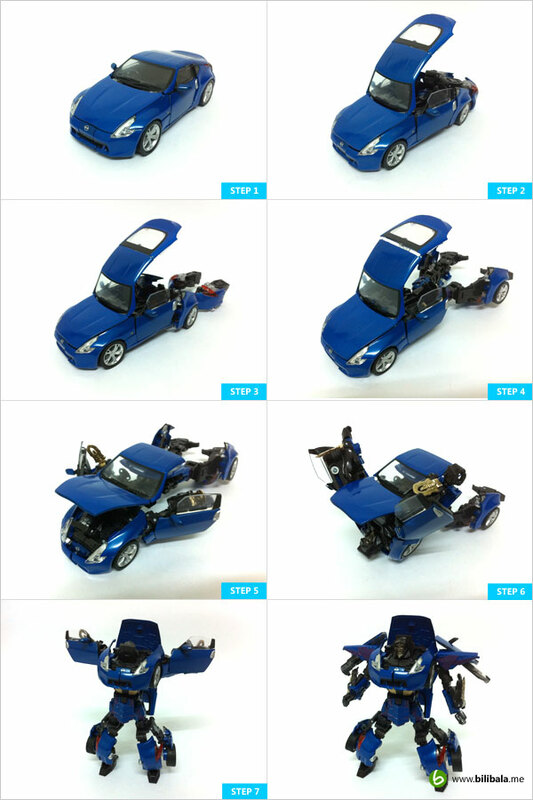 Okay, apart from seeing some cuttings/gaps here and there (for transform purpose), the rest is is 99% similar. 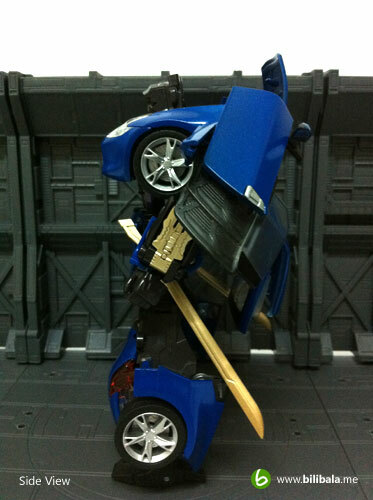 It does also look as great as those non-transformable car model in my opinion. 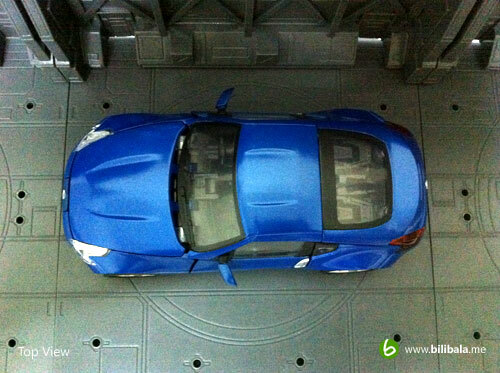 The side profile reveals the door handle, nice soft rubbered tires and cool sport rims. Do excuse those gaps in between as i have problem closing them tighter. 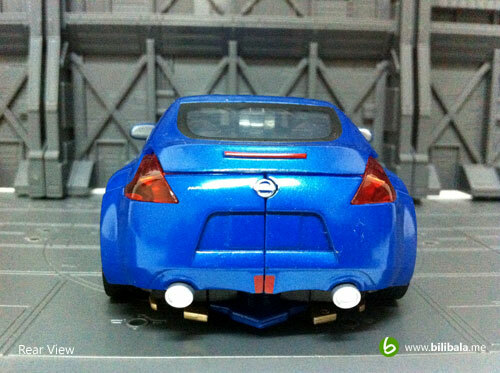 From the rear view, the Nissan emblem is here again. 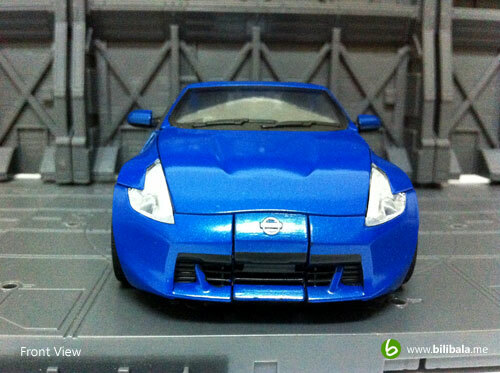 Same as the front one, it does not come with the “Nissan” wording. 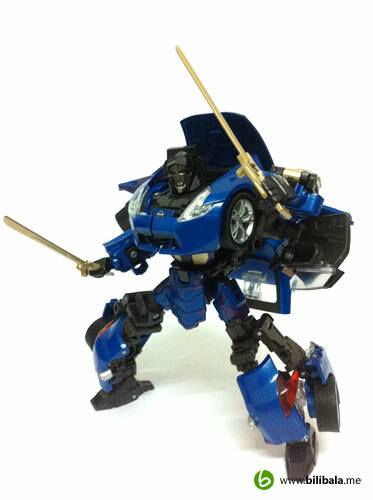 Robot Mode: Samurai Alternity Megatron! The first impression i have with this Alternity Megatron is, he does have shorter hands and bulky shoulder. 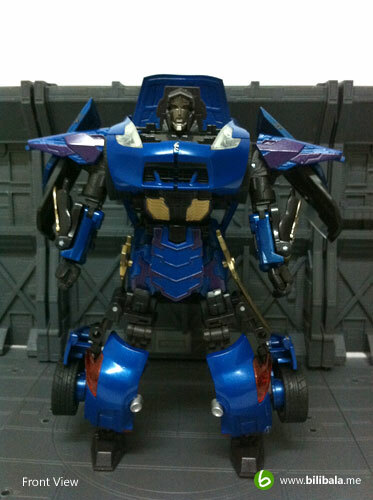 Moreover, he does look like he is wearing those Samurai armor which you can see those features at the shoulder and hip pieces. Both of the Katanas can be “plugged” in at both sides of the hips to hold them as a “storage” there. Here you can notice a Samurai armor pattern at the shoulder piece. 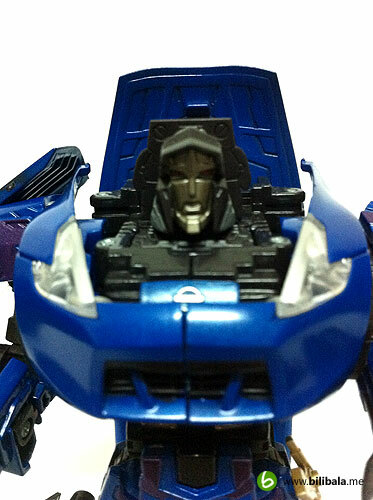 A closed up look at the Alternity Megatron head piece. Though there is light piping here, it didn’t actually work well with it. Doesn’t see the eye reflecting out any lights from the back though. 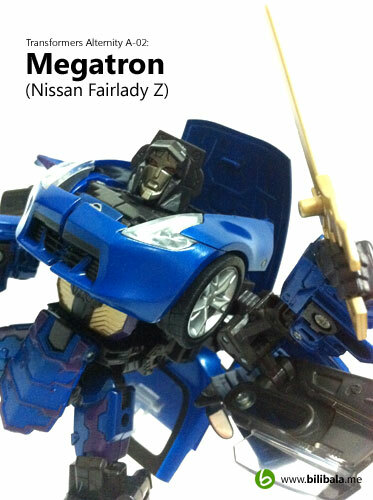 One more thing, i just personally feel that the Alternity Megatron has an asian face here…. gee, what do you think? 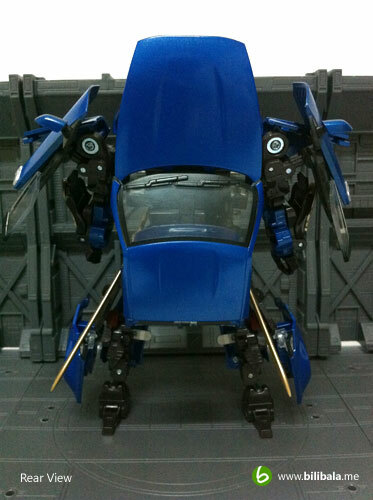 The articulations for the whole robot is quite standard. As for the weight distribution for the whole body, it is quite moderately done as the weight for the back part still contributing the most. You might need some time and effort of trying out some fancy pose for him. Transformation process is quite intermediate, especially there’s a part where you need to “squeeze and pull” the front panel to reveal the robot hand. (Step 4 to step 5). 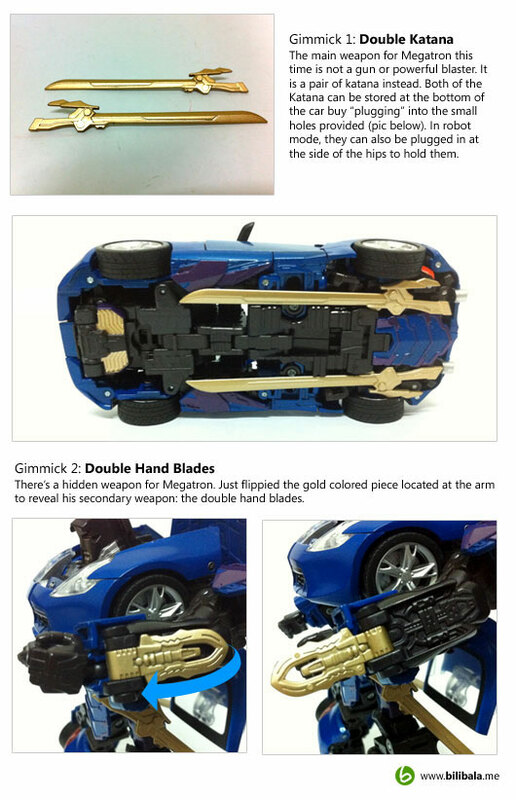 Overall, isn’t as difficult as transforming Orochi Starscream as most of the parts are sturdily intact. Overall, this is quite a nice piece to have even though you don’t like Transformers (which i doubted, everyone loves Transformers :p ). 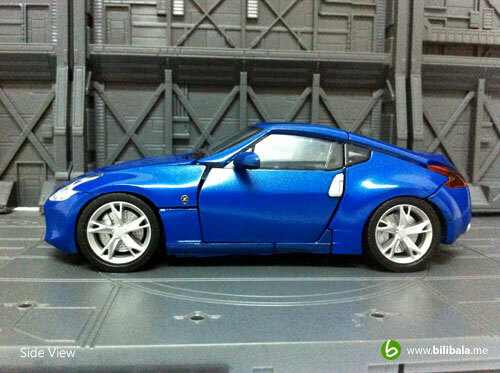 You can just keep them as their alternate mode which looks as great as those non-transformable one. Oh ya, it comes in various colors as well. If you don’t feel adventurous of having the same outstanding blue as mine, you can always opt for those more common color like black (which looks much more nicer in the Samurai context) or silver (which is becoming quite rare in stock nowadays).